Here's an interesting factoid from Destiny 2's reveal: the new world Nessus is on a "visiting orbit" according to world design lead, Steve Cotton. 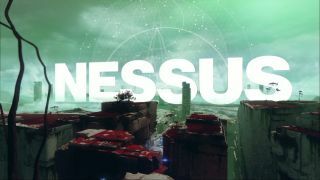 In the game the planet is a Vex machine world and, speaking to GamesRadar, Cotton said, "Nessus is a centaur, we called it a planetoid in the presentation but it’s a centaur." A centaur is a minor planet with an irregular orbit, which he explains means it's "a planet that orbits in our solar system in a weird way, a visiting orbit thing. We thought that was really fascinating. The Hunters catalogued this planet and that’s how the Vex built their thing and now it’s coming into our solar system. So that’s why it’s here." Even more curious is that when we asked if that meant there might be a limited window to deal with it, he stated, "limited window." It does add up: Destiny is set in our solar system and, last time I checked, there's no Nessus planet mentioned. As for what the idea of a "limited window" could mean? That's unclear. It could be a narrative time pressure in the story, but given Destiny's love of time-restricted events - Xur, Rise of Iron and so on - could it mean Nessus and it's content isn't always available every day? And, finally, just to make things more interesting, it looks like it's a real planet: 7066 Nessus, to be precise. An icy minor planet discovered by David L. Rabinowitz in 1993. It has an orbital period of 122.4 years and at its closest point to the sun it's nearer than Uranus, while its furthest point takes it beyond Neptune. If you want more then you can find out more about Destiny 2's new worlds, and catch up on all the Destiny 2 details as well.